Azariah Miniatures at Meadowind Farm specializes in breeding and showing correct and colorful miniature horses. We carefully select our horses for their conformation, presence, temperament and outstanding movement. We truly believe that to strengthen and improve the breed, only horses with natural outstanding qualities should be included in our breeding program. A miniature horse should look like a miniature horse, correct, refined and well proportioned with correct legs, deep reaching hock action, a strong, level top line, good shoulder angle, and a lovely, short head with large soft eyes. Our mares and stallions are matched to accentuate their strengths and compliment each other. 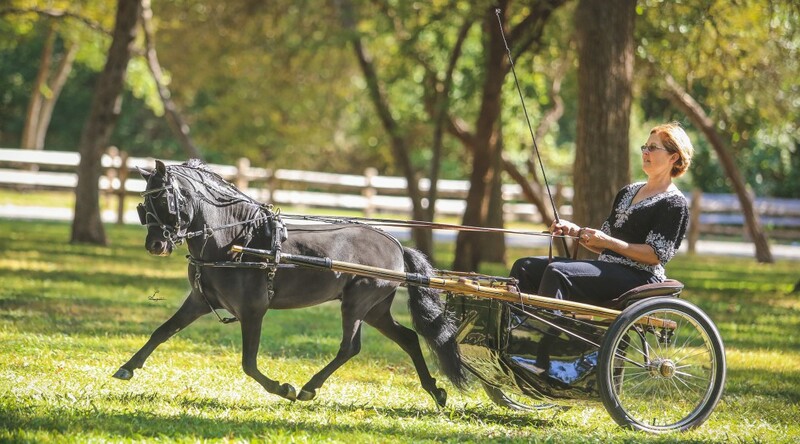 Our goal is to raise miniature horses that will strengthen your breeding program, exhibit qualities that will shine in the show ring and have a temperament that is pleasant to work with. Meadowind Farm offers a personalized boarding facility with a custom feed program and carefully matched group or individual turnout. Although we are not discipline or breed specific, we feel that a carefully matched horse/rider team is the basis for creating harmony in the partnership. A horse ridden and shown in the discipline that is most suitable to its personality and conformation will ultimately be the foundation for success. Our facility includes a 100 X 200 lighted, black sand arena, a 60’ roundpen, lush green pastures and dry lots, many with shelters. Our bank barn, circa 1860’s, has 9 boxstalls of various sizes, 11X14 to 11X10. We also have a 5 stall mini barn. We encourage you to explore our website and contact us. We enjoy getting to know and working with those who share our passion. Let us help you find your special equine partner.